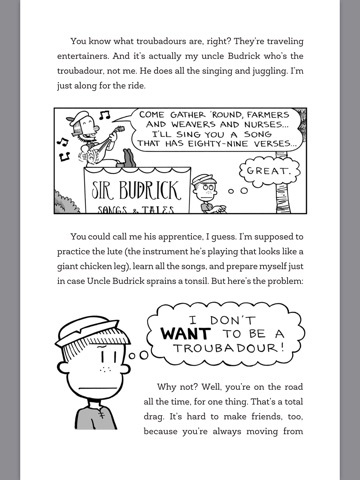 Summary: Max serves as Uncle Budrick’s apprentice, learning to be a troubadour, but really wants to be a knight instead. When the two arrive at the city of Byjovia, Uncle Budrick tells of his idyllic childhood there, under the rule of kindly King Conrad. But when the two arrive, they discover that Conrad is missing, presumed dead, and that his evil brother Gastley has taken over. Most of the townspeople are under a spell that makes them nasty, but kids are immune. 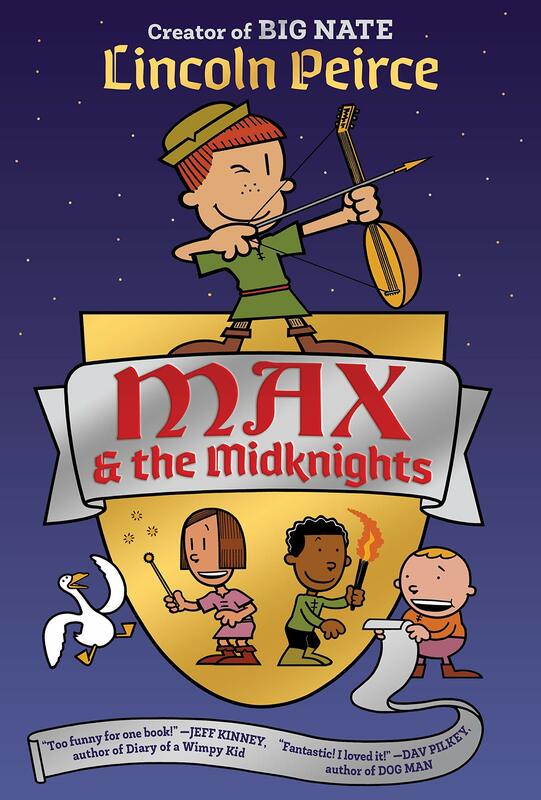 Max and Uncle Budrick meet up with Kevyn, Simon, and Millie; Max reveals that she’s really a girl, and the five of them begin their adventures as the Midknights. They meet up with a wizard, zombies, dragons, and an evil sorceress who’s the real brains behind Gastley. Eventually, they discover and rescue Conrad, and help him defeat his brother to take his rightful place on the throne once again. Having witnessed Max’s courage and fighting skills as well as Millie’s magic, Conrad decrees that boys AND girls are free to become whatever they want. Kevyn aspires to be a writer; Millie will train as a magician; and Simon and Max head off to knight school, as all involved prepare for a happily-ever-after ending. 288 pages; grades 2-5. Pros: This combination chapter book/graphic novel by the author of the popular Big Nate series is sure to be a huge hit across a wide spectrum of elementary readers. Cons: Everything wraps up neatly at the end, and there’s no mention of a sequel in the book or on Amazon.